If you need to soothe a fussy baby, get some work done around the house, or simply just take a shower, a baby swing comes in handy. There are more than enough products out there trying to catch your eye, so we pooled them all, in order to help you find the best baby swing. The swings on our list follow basic criteria of high user online ratings and meeting the common necessities of a swing: recline options, speed options, and more. Recommendation: This swing is an ideal space saver. It only takes up 1/3 of the space of a traditional baby swing. There are five speeds and the mobile glides easily back-and-forth. Its motor can be rather loud though. Also, the mobile hanging above is useless unless your baby is old enough to reach it. Recommendation: As a starter swing, this item does the job very well. It can detect weight to swing at proper speeds, and it has all the necessary safety features such as non-slip legs. For portability and storage, it has a compact fold. The music has two volume features, but both appear loud regardless. It sells with free shipping, and pricing may change due to sales. Recommendation: This convertible swing runs almost completely quiet. It can fold almost flat for great portability. 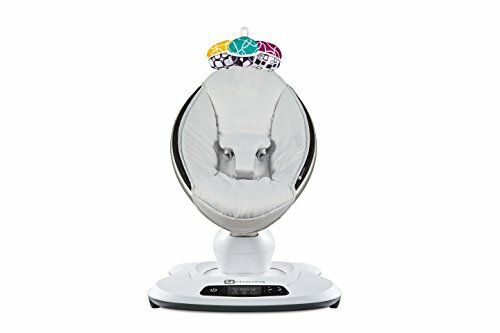 If you want, you can even lock it to keep it from swinging if you just want your baby to relax in a comfortable seat. There are some issues with the batteries not holding up as long as they should for the seat vibration. Recommendation: With good online ratings, this is a product that features several auto-shut off features from 30, 45, or 60 minutes. It can be used from newborn to toddler age, and it folds for convenient storage. However, it doesn’t look too portable when fully assembled. Also, price might fluctuate due to it going on sale. Recommendation: Customers who have tried this swing recommend it as great for travel use. Therefore it earned its spot on our best baby swing list. When disassembled, it can easily fit into a suitcase. Also, it can be re-assembled easily, and due to its small footprint, it can be taken just about anywhere. However, changing out the batteries can be a hassle. 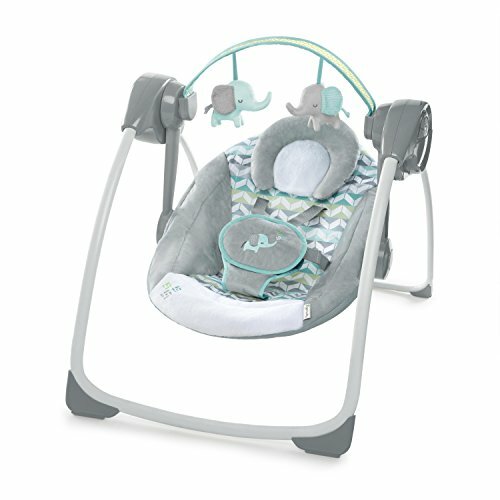 Recommendation: Next on our best baby swing list is this unit that has two gentle speeds, two power option (wall outlet/battery), and it’s versatile for use as either a swing or a rocker. The seat has plenty of room, but taller babies may not fit in comfortably. Also, it has a wide base, so it may not fit through narrow entryways. Recommendation: With its lightweight frame, this swing is rather portable. The timer feature is completely optional, so you can run it however long you want. Not many like the sound feature, so they opt out on using it. However, customers appreciate that you can plug it into a wall outlet. Pricing can change due to sales, and you can even purchase it with free shipping. 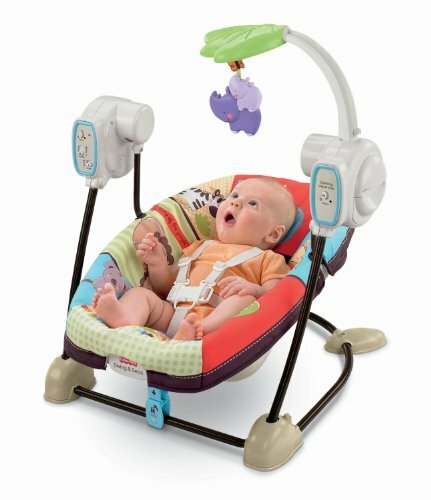 Recommendation: This Fisher-Price swing offers two motions and features sensor technology that detects weight and adjusts speed accordingly so your baby is kept safe and soothed. This is a top choice found in our search for the best baby swing. Many appreciate the mobile as well that it keeps babies pleasantly distracted. However, not all users enjoy the loud noise from the motor when it starts up. 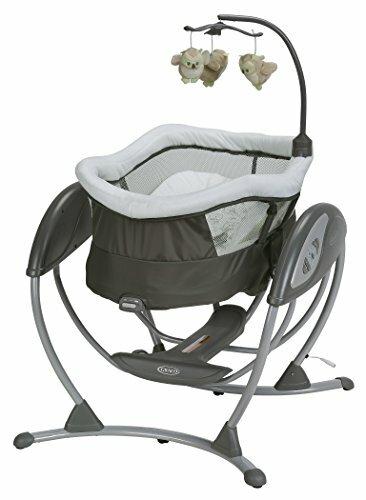 Recommendation: Rated as a best baby swing, this Graco swing is easy to move around the house. There’s even a carry handle at the top of the seat. It has several rocking speeds, but it may not be entirely quiet. Not many enjoy the nature sounds or music and prefer not to use the feature at all. Recommendation: Compared to other baby swings, this one glides rather quietly. You should only hear a slight hum. The noises are soothing, but the music lasts less than half an hour before it automatically shuts off. Also, it would be nice to feature a plug-in option, but it only runs on batteries. Baby swings come in a number of varieties, but the best ones all share similar features from portability, to saving space in the home, to the level of noise it makes when swinging. You can also check out the best walkers for babies list. If you think there is a swing we missed in our top 10 best baby swing list, we’d love to hear about it!